Engraving Solutions introduces the new 3D configurator for tissue products. Engraving Solutions confirms its commitment to research and innovation by presenting Touch’n’ Roll, the new 3D configurator for tissue products. Offering personalized products to the specific needs of the customer, has become one of the strengths of companies – says Giacomo Bianchi, Product Engineer of Engraving Solutions – Often potential customers want to co-create with the company, products in unique solutions, flexible and adapted to their needs. The new Touch’n’Roll configurator offers the user a 3D experience that can help him develop personal solutions quickly. How does it work? Create your roll in 4 steps. Experience your 3D tissue roll. Thanks to the new digital configurator, the customer can obtain a product preview service even before a “pilot test”. A real “digital experience” that allows the customer to speed up the decision-making cycle and reduce its time-to-market. Touch’n’Roll will be launched during Tissue World Milan, 25-27 January 2019. During the event, it will be possible to try in first hand, the new configurator and talk with experts about benefits and usability. Click on the banner below and book now your live demo. Engraving Solutions is a provider of services for the development of complete solutions in the manufacture of engraved tissue rolls. Thanks to its know-how and technological excellence, the company has always distinguished itself for its ability to develop new embossing designs and to support the customer in the study of embossing rolls for the optimization of production performance.Engraving Solutions is a provider of services for the development of complete solutions in the manufacture of engraved tissue rolls. Thanks to its know-how and technological excellence, the company has always distinguished itself for its ability to develop new embossing designs and to support the customer in the study of embossing rolls for the optimization of production performance. To date, Engraving Solutions has produced more than 4,000 embossing rolls, created more than 12,000 graphics solutions and has 15 active patents worldwide. 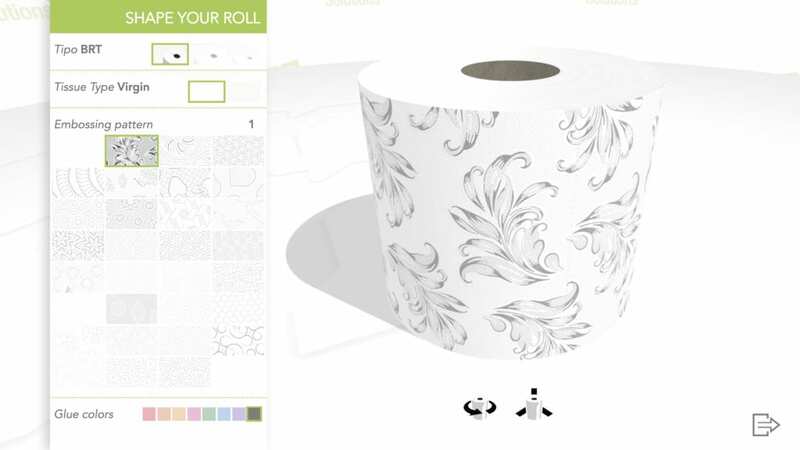 Share the post "Touch’n’Roll: Design your Tissue Roll in One Touch!"